The FBI’s announcement that it was no longer considering criminal charges against Hillary Clinton was well received by the markets Monday. 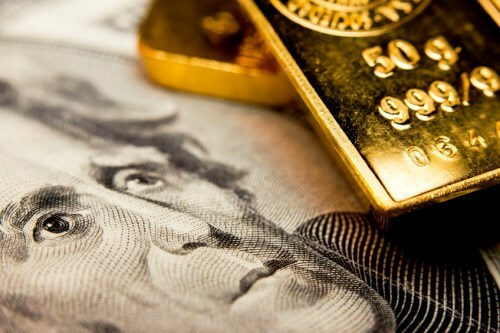 Global equities and oil gained along with sentiment but that was bad news for gold markets as prices fell as risk appetite returned ahead of Tuesday’s vote. The main TSX index closed almost 1 per cent higher as the information technology sector rose 3 per cent following strong preliminary results from online bingo firm Intertain Group which saw its stock gain more than 26 per cent. Energy was also up, by almost 1.5 per cent, as oil prices rose 2 per cent; overall nine of the sectors gained while materials lagged. Wall Street and Europe saw gains of around 2 per cent and Asian markets also closed higher. Telecom firms must introduce a tech solution to stop nuisance phone calls and have 90 days to do it, the CRTC announced Monday. The regulator said that consumers must be protected from unwanted calls and warned the telecom industry that it will face penalties if it fails to come up with a workable solution. Online loan firm Lending Club said Monday that National Bank’s US Credigy business has approved “an investment of U$1.3 billion” on its platform in the coming months. National bank clarified the situation later Monday, telling the Globe and Mail that the deal was not an equity stake but a purchase of loans through the online platform using its own lending criteria. The clarification was aimed at National’s investors who may have been concerned at any exposure to Lending Club’s own performance.